August, 2011 - The long-awaited rematch between WBA super welterweight champion Miguel Cotto and the first man to stop him, Antonio Margarito, is officially on. After some haggling on Cotto's side regarding a same-day weigh-in, the battle and details have been clarified. “Both sides have agreed to terms. 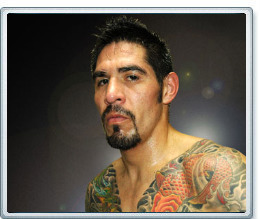 The fight is December 3rd at Madison Square Garden,” said Sergio Diaz, Margarito's manager, last Wednesday. In addition to the same-day weigh-in Cotto requested, the Puerto Rican fighter wanted Margarito to agree to not weighing more than 160 on the day of the fight. Although the WBA 154-pound title is at stake, the fight will be officially contested at 153 pounds. Cotto proposed that the usual ten-pound gain allowed over the 24 hours following the official weigh-in be amended, allowing only six pounds maximum for rehydration. After some negotiations, the issue was put to rest. “Yes, that [weight issue] was thrown out. New contracts are being drafted and should be signed by both by the end of the week,” concluded Diaz. Margarito's stoppage win over Cotto in their now-classic war back in the summer of 2008 has been brought into question by Cotto as the reigning titlist has been recently pointing out some red stuff on Margarito's raised glove in post-fight photos. What Cotto fails to mention is that, not unlike the photo obtained by the Los Angeles Times, there have been other photos of various fighters with virtually the same reddish stuff on their gloves after their own fights. When asking trainers and fighters around the L.A. area as to what they thought the substance in question is, there would be two trains of thought. A) The constant pounding on the moist leather of the red gloves makes the color bleed through onto the hand wraps within during the fight or B) blood from cuts, knicks or bruised knuckles, which could have occurred during training or the fight itself, are also suspect. It's all academic at this point as Margarito will surely be on a mission to prove his victory over Cotto was a clean one. You can reach German at ultragerman@yahoo.com.